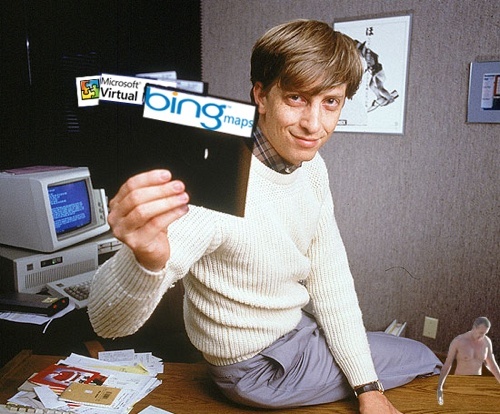 Did you happen to notice the new routing engine we implemented on Bing Maps? No? Yea, I can’t recall the last time I used Bing Maps. I’m just so used to using Google’s services, it feels unnatural to not type google.com into my browser. Also I’ve chosen to use Waze for navigation on my iPhone leaving them to handle routing and navigation while I’m out and about. So yea, its been some time since I’ve used Bing Maps. But I guess that’s water under the bridge. Coupled with the bizarre patent that tells you not to go down a dark street alone without a shotgun, Microsoft seems interested in mapping again after what seems like years of not caring about Bing Maps. I suppose Windows Mobile devices use Bing Maps for routing, but who else uses them these days? It does sound like Microsoft has a cool algorithm going on the backend and I wish them the best of luck. How many versions of Microsoft Maps will it take for them to be successful?